These doves are pretty excited that they're getting another season. Not content to let Netflix make all the big announcements about its big, fancy slate of new and returning shows, second-stringer streamer Amazon issued a press release earlier today, renewing and picking up pretty much every TV series currently in arm’s reach. 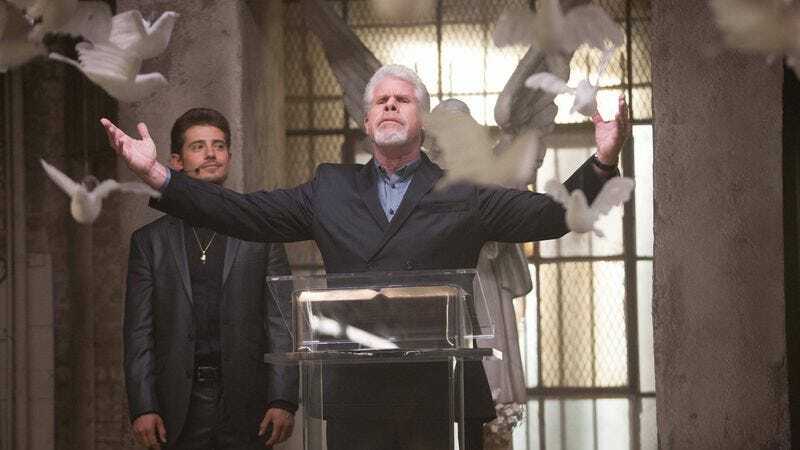 Besides the “no-duh” renewal of Transparent—which was snagged up for a third season before the second even started production—and today’s announcement of The Man In The High Castle, fans of online streaming’s persistent little brother will also be getting new episodes of the arboreally named Tumble Leaf and Red Oaks, and the lackluster Ron Perlman vehicle Hand Of God. We’ve also got the already-announced One Mississippi, Tig Notaro’s autobiographical dark comedy about returning to her home state to bury her mother, which is being written by Diablo Cody and executive produced by Louis CK. In the hour-long department, meanwhile, there’s the feminist period tale Good Girls Revolt, about young women attempting to secure fair treatment for themselves in a ’60s era newsroom. We also regret to inform you that Amazon is this year’s winner of the annual lottery to try to make once-upon-a-time Lost star Terry O’Quinn a going concern again; he’ll be co-starring in the streamer’s new political thriller Patriots, about an undercover American agent (Michael Dorman) attempting to stop Iran from gaining nuclear capabilities without blowing his own cover. Pilots for all of the new series have been available for several months; looking back, it seems like a content-hungry Amazon snatched up pretty much everything except Shane Black’s bloody Western Edge. In any case, you’ve still got time to check the pilots out, if you want to see if this is the production slate that will finally make Terry O’Quinn—and with him, America—truly great again.